This week marks week 7 in our 26 Weeks of Reasons to Buy a Home. 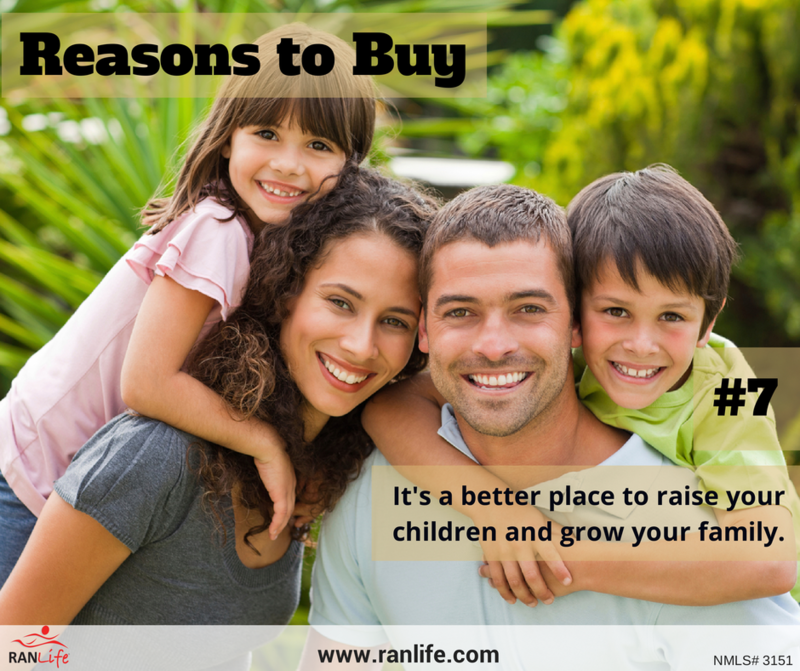 When you have a family and it comes time to looking for a home, it's not just you and your spouse that you think about but it's also your children. Is the home in a good school zone? Does the neighborhood have other kids close in age? What is the crime rate like? These are all questions you'll probably find yourself asking when it comes time to buying a home. As a homeowner, you get to choose what home and neighborhood is right for you and your family.